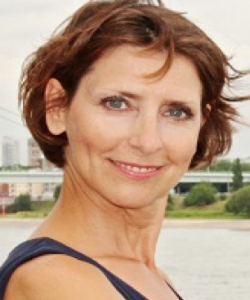 Kaik Eveline, Germany - bpw-leadershiplifelonglearnings Webseite! Entrepreneur and Business Consultant. Her targets as a co-founder and senior consultant are to strengthen the future of the companies she has been working for, the further growth as well as the business continuity. Her skills in relation to interpersonal relations allow acting customer focused as well as result orientated with effective interpersonal skills. She’s been working for over 20 years as entrepreneur for different levels and developed her leadership skills as a natural authority, motivator and organizer. In addition Eveline works as a business consultant and mentor and as a fitness- and Pilates coach. As a member of BPW Cologne Eveline achieved the certification as a PEP trainer. In connection with her empowerment activities Eveline assists the German member of the International Task Force for Mentoring in developing the program for the BPW mentoring program within Germany.